Home :: Fountain Pen Inks :: Ink Accessories :: InkZap! InkZap! Best Ink Remover In The World. If you love fountain pens then you know that ink happens. With InkZap! in your arsenal, you can let it happen. 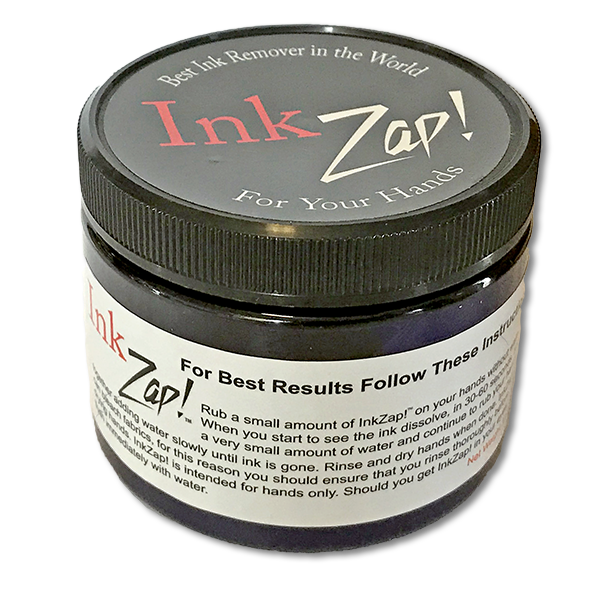 No longer be embarassed by unsightly ink stains on your hands when in a business meeting, at a dinner party, or just among friends and family. You can go from a colorful mess to inspection ready in just a matter of minutes. In actual use, professional pen restorers say InkZap! 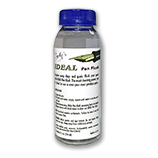 is the best ink remover they have ever used. 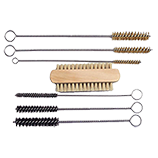 Specifically designed for use on hands. 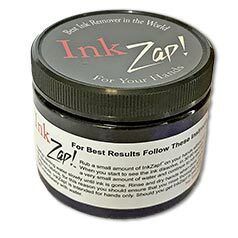 Order a jar for both home and work, and never be embarassed by unsightly ink stains on your hands again. This is sold by weight in an oversized jar so that you can dip your fingers in a new jar without it overflowing.